Is it an accidental event, a fight between rival gangs to control an area, or a calculated and planned political act? 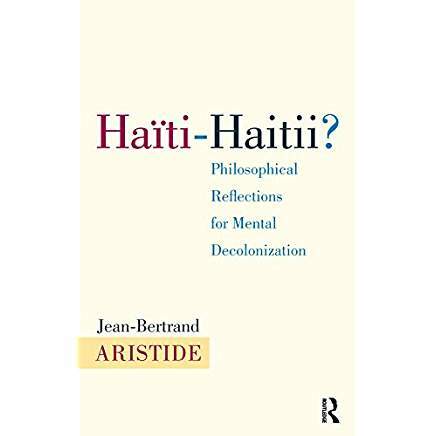 This article, originally written in Haitian Kreyol for Haiti Solidarity in February 2019, was translated by Haiti Action Committee. 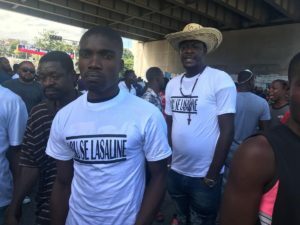 Lasalin, a shantytown in the capital of Haiti, is crossed by two main thoroughfares, which make it a strategic area coveted by several economic and political groups for many reasons. On one side is Jean-Jacques Dessalines Boulevard, with Lasaline Boulevard on the other. Facing Lasalin are truck terminals and private ports that receive goods and merchandise from abroad. The center of the shantytown is situated directly across the terminals and ports. For one of the powerful ruling social groups, whose origin and methods of operations will be discussed later, Lasalin is considered to be a menace. This is a view that is generally shared in the oligarchy, which is determined at all costs to force out the residents of the community and take over the land to enlarge its economic empire. Edouard Baussan, the owner of Unibank, now controls these terminals after buying out the other shareholders. For this group to achieve its dream, it must remove the people who live in the shantytown of Lasalin. The majority of the residents are active members of Fanmi Lavalas Political Organization who always publicly declare their great appreciation and loyalty to former President Jean-Bertrand Aristide, who implemented many projects in the area for the residents of Lasalin to live in dignity. The massacre on November 13, 2018 is not the first to have taken place in the community of Lasalin. In 1957, in order for General Antonio Thrasybule Kebreau  to stage elections to install dictator Francois Duvalier as president, he massacred many supporters of President Eustache Daniel Fignole, who lived in working class neighborhoods such as Lasalin, Bele, and Site Soley. They did not want to obey and accept the coup d’état that the Haitian Army had committed against President Fignole which sent him into exile. 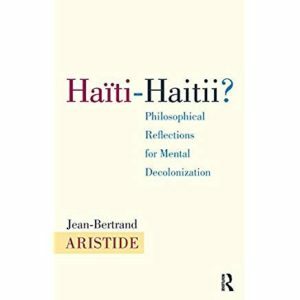 On September 11, 1988, the Haitian Army in the service of the Haitian oligarchy enabled paramilitary affiliates to massacre parishioners during a mass officiated by Father Jean-Bertrand Aristide at St. Jean Bosco Church in Lasalin. And during the first coup d’état against President Aristide that started on September 29, 1991, the Haitian Army, together with paramilitary affiliates, massacred many activists in working class neighborhoods, particularly in Lasalin, over the course of several years. On February 29, 2004—the date of the second coup d’état against President Aristide—the working class neighborhoods were once again victims of the enemies of democracy. The Haitian people and the neighborhood of Lasalin were not spared; many activists were killed. Bourgeoisie – The whites who possess a lot of money, wealth, plantations, and land. Middle class – The small landowners, “mulattos,” and freedmen who do not possess a lot of money, wealth, plantations, or land, but who are living comfortably. Thus various groups seek to have at their disposal an armed militia under the cover of a security service. They make alliances with a few outlaws in some of the working class neighborhoods, provide them with money and weapons, creating groundless rivalries that conveniently allow for the elimination of political adversaries. The assassination of Paul “Ti Koton” Ambroise allegedly by Gregory “Ti Greg” Antoine is a clear example. Ambroise was a potential candidate for mayor of Port-au-Prince under the banner of Fanmi Lavalas; he was assassinated in plain view of the police after attending a soccer game at the Silvyo Cator stadium. What do Barbecue, Ti Junior, Ti Greg, Vlaw, Ti Je, and Arnel Belizvaire represent in the struggle? Without a doubt they are the “weapons” placed in the midst of the enslaved that the bourgeoisie can use whenever needed. What do Boulos, Edouard Baussan, Andy Apaid, Baker Charles, Dimitri Craan, Sherif Abdallah and Bigio represent? The oligarchy. If Lasalin, Vilaj de Dye, Matisan, or Granravin become a political obstacle, it follows naturally that the oligarchy will try to eliminate all of their political adversaries, in order for the field to be wide open in advance of the next elections. Since the majority of community residents these neighborhoods is Lavalas, it is repression against Lavalas itself. The Lasalin massacre was neither an accidental occurrence nor an intergang turf war. It was a political act, calculated and planned.